A few bloggers (Radioactive Yak via Ogle Earth) noticed today that Google is testing AdWords in its Google Earth application; the ads they saw were for real estate services in England. I tried a few searches of my own and sure enough AdWords show up over the US as well. 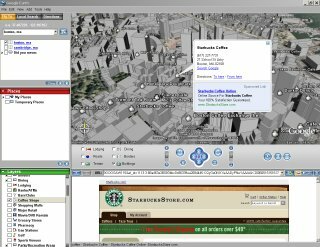 The screenshot above (click on it to see the whole thing) is of downtown Boston with the 3D buildings layer on and an ad for the Starbucks Store that appeared after I clicked on the Starbucks icon that appears with the cofeeshops layer on. 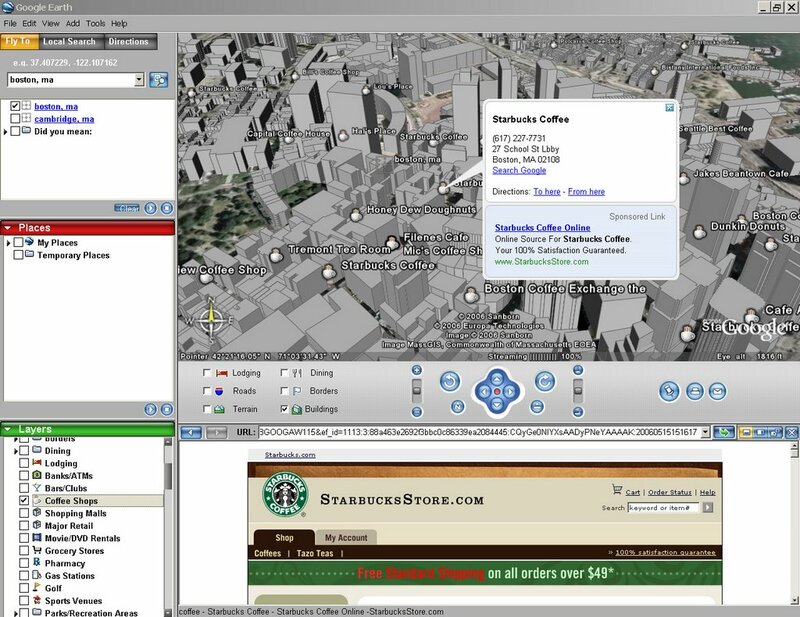 The advertised website appears in the browser window within Google Earth.